HEAT Bootcamp | Austin, TX and beyond | Workout Of the Week - "Suicide Workout"
Workout Of the Week - "Suicide Workout"
Hey …Hey …Hey my soon to be half naked, fire men, gladiators, school girls, comic characters, crazy Halloween costume dresser uppers!!!! Its Jenn here. Coming to you with a “Halloween” inspired W.O.W. No we won't be using any pumpkins or hammers, but our HEAT Boo Camp, starting this Thursday (10/27-10/30) will be. Make sure you come in and take a camp with us and experience all the fun, spooky, and crazy ideas we have for this year's Boo Camp Workouts. This workout just sounds scary. I used a few clever exercises that fit the Halloween theme. This week's WOW is formatted just like we were back in grade school. That is, the good old “suicide workout”. Yup ……I went there. Taking you back in the day. Most of you are probably familiar with performing this drill by running/sprinting, like in soccer or football. Well, this is very close to that same drill. If you are not familiar with the term “Suicide Workout” here is what it means, and how you will do this workout. This is best performed outside so you can run in between drills. Set up 5 stations about 8-10 big strides apart. Start with exercise 1 for the described reps and then run to station 2, and complete those described reps. Once you have completed the second drill immediately run back to drill number one and do that drill all over again. You will always go back to drill 1 after completing each acceding drill. Sounds good? Okay, let's jump right into it! Time is wasting! Stand on one leg, on the same side that you hold the kettlebell. Keeping that knee slightly bent, perform a stiff legged deadlift by bending at the hip, extending your free leg behind you for balance. 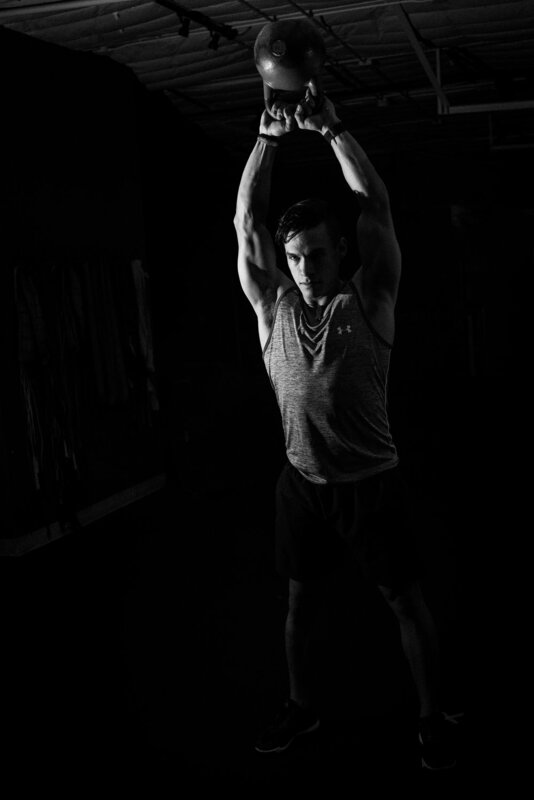 Continue lowering the kettlebell until you are parallel to the ground, and then return to the upright position. Pick up your KB with an overhand grip. Lie flat on your back on a mat. Anchor your feet to the floor. Raise both arms straight up above your chest. Your arms should be perpendicular to your body. This is your starting position. Bend both elbows and carefully lower the weight toward your head or slightly behind your forehead. Only your forearms should move as you bend your elbows. When your arms are bent at a 90 degree angle, raise the weight again to the starting position. Starting in a low squat position. Jump your feet and hands simultaneously, like you are doing a jumping jack. Remain low the entire time.